There are many areas in life where accepting mistakes as inevitable is a good thing -- electronics manufacturing is not one of them. The end goal should always be to complete a production run with zero defects. While it may not be possible every time, it’s certainly the mindset you want your contract manufacturer to have. 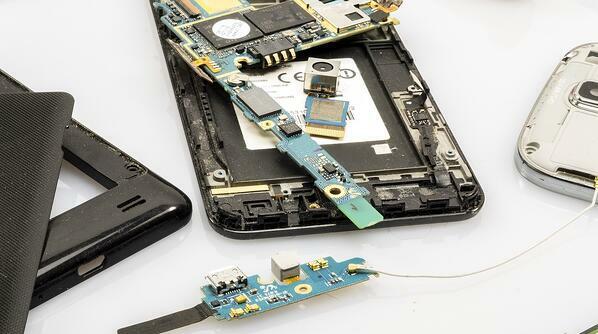 So, how can you handle business on your end to make sure no defects exist in your electronics build? The answer is multifaceted, and unfortunately some of it is out of your hands. Avoiding defects in a PCB build or similar assembly requires looking closely at your process -- especially the EMS supplier with which you partner. Read on to discover some of the most important tips on how to achieve zero defects. 1. Test and inspect as much as necessary. It’s possible to overdo it with testing and inspections -- at some point your product needs to go out to consumers. But few EMS (electronics manufacturing services) suppliers ever reach that point -- and a late product is better than a broken one. What to test: Several factors go into make these decisions. Sometimes it’s the complexity of the assembly. The more simple the assembly, the more likely you are to get away with a small function test. A dense assembly will need more testing. If it's very dense, you should get an in-circuit test. How to test it: Do you need an in-circuit test? A flying probe test? An automated or manual functional test? How often to test it: What are your requirements? If you have UL requirements or intrinsic safety requirements, you have no choice but to test. So being aware of your testing as soon as possible is vital for hitting lead time goals. Cost is also a factor. You want to test as much as possible, but you don’t want to spend $10,000 on testing if it’s unnecessary. Will your make 200 or 20,000 parts? Do you want your part to last 30 years? Your engineering consultation should help you to determine how much to spend on testing. Also, consider a manufacturer with an automated optical inspection device. Visual inspection will catch about 80% or so of defects, while an AOI can give you a higher catch rate of 98-99%. 2. Make sure your EMS supplier has the necessary certifications. Certifications show what an EMS supplier is capable of, so verify that the company you use has the right certifications for the job. Getting a certification takes time and money. Any electronics contract manufacturer worth working with -- much less one you can expect zero mistakes from -- will have invested heavily in employee training and certifications. When an EMS company is audited, it gets audited for a certain process. For example, an ISO certification in aerospace says your EMS supplier has the foundation to manufacturing this product with little to no risk. For medical devices, the contract manufacturing is proving it can track components -- very important to medical boards and the like. UL should be coming in to your EMS partner’s facility multiple times per year to make sure everything’s being done as it should be. Your partner should conduct internal audits and supply the corresponding records as well. An audit of your potential partner -- before it ever produces a single assembly -- can be worth the time and effort. Your electronics contract manufacturer can also do a pre-run where it documents issues along the way. This would involve the manufacture of just 1-10 pieces. Once that’s done and confirmed to be functional, the manufacturer can safely release much more assemblies. 3. Use quality parts -- nothing counterfeit or excessively cheap. Saving money is great for business, but not if it leads to losing money down the line. Quality components are essential to a quality final product. It can be helpful to work with an EMS supplier that has the industry experience to identify counterfeit parts before they are used in production. It’s great to use off-the-shelf parts when you can, but sometimes you can’t. Think about using a contract manufacturer that has counterfeit inspection in place. This will weed out parts that can cause defects. You can ask for and document that the EMS supplier gets approval from the components vendor before it uses a certain part. You can also ask that your EMS partner gets a certificate of legitimacy from the components supplier. 4. Use design-for-manufacturability best practices. The dreams of engineers can become nightmares for manufacturers, and EMS suppliers are no exception. The principle of design-for-manufacturability is based on practicality. You want the design you hand to the EMS supplier to be one that can be translated to the manufacturing line with minimal adjustments. Every special adjustment out of the norm takes time, costs money, and can result in screw-ups. An easy way to make sure your EMS provider executes your design correctly? Provide all documents: the bill of materials, machine drawings, and so on. If you think a document’s not necessary to hand over, supply it anyway. The sooner you provide information, the better. Asking for a quote and review early on allows the EMS engineer to determine whether a design is manufacturable without defects. If it’s a new design, this is especially important. As you can see, communication is key. Keep the lines open -- and expect your EMS partner to do the same. 5. Choose an EMS supplier with experience and skill in high-complexity projects. Different EMS suppliers specialize in different areas. Some are focused on simple, high-volume production, while others tailor themselves to high-complexity production in smaller numbers. If your project is highly complex or involves mission-critical electronics, you’ll want to choose an EMS supplier that has the capability not just to get the job done, but to make sure it is done right. What about calibrated products -- is your EMS supplier used to working with them? How do you know what you’re building is correct? Your EMS can pay a calibration fee to calibration houses to verify that the equipment its using to build your product is literally up to speed. This is another great way to ensure your final product works well. 6. Find an EMS partner that can support your product all the way. There’s a lot goes into fabricating a new product. Even the most talented OEMs aren’t capable of putting out a perfect product without adequate preparation. Many busy OEMs send a product off for manufacturing before they’re fully comfortable with the product. Those companies (hopefully) trust the EMS partner handle any necessary design tweaks. A top-notch EMS supplier should be able to help bring your product through the final stages to market or even supply design-for-manufacturability advice in the early stages of product creation. The earlier it’s capable of being involved in the manufacturing process, the better. 7. Ensure the basic manufacturing process is done right. Any of these problems can cause PCB failure and sink your quest for a zero-mistake production. All of them are common mistakes, ones that you want to make sure your EMS supplier is aware of and capable of sniffing out. 8. Look for an EMS partner with aftermarket services. Partner with a supplier that can supply failure analysis once you have that product on the market. Maybe your product looks great and passes a test, but the life expectancy of the product is way lower than you wanted. Aftermarket services can augment the lifetime of your product. Failure analysis involves tracking what is coming back and checking components to see if there’s something in particular causing an issue. If your EMS supplier gets back 100 products and finds 20 have the same issue, it’ll know how to attack a defect. This is failure analysis at its best. You also want an EMS supplier that can help you redesign the product. This way, if you do have defects, you can at least correct things after the fact. A year or two into your product’s life, it’s pretty much inevitable you’ll run into obsolescence. You want an EMS supplier that can boost product lifetime when these issues arise. Basic mistakes such as those in #7 are more likely when an EMS supplier specializes in the wrong area (or none at all). Like when you choose a commodity-type board house but actually need a high-complexity designer and assembler. In the end, you want a manufacturer who can support additional revisions (like adding Bluetooth when you originally designed a product with just Wi-Fi) and maximize inventory already purchased and market availability of parts. Looking for more PCB and box build design advice? Let us know if you have questions -- we’re here to help.